Beverly Hills, CA - The City Council of Beverly Hills, California, unanimously passed a resolution condemning Airbnb’s decision to remove from its website the list of its apartments and vacation units located in “Judea and Samaria ” . “We find Airbnb’s actions deplorable. 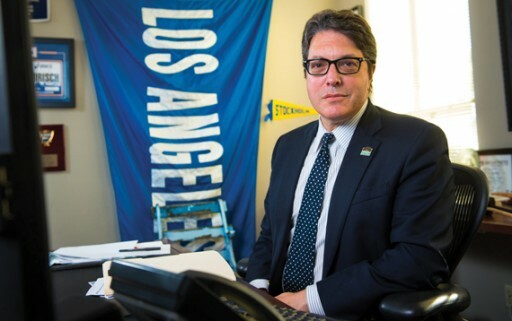 On behalf of our residents, this unanimous resolution reflects the city council’s ongoing commitment to Israel and denouncing hatred wherever it exists, “said Beverly Hills Mayor Julian Gold in a statement released by the city . “Airbnb is not welcome in Beverly Hills because of its anti-Jewish bias,” said Vice Mayor John Mirisch. “The hatred of the Jews is an illness. We can try to inoculate others against this disease, but we must also protect ourselves from its effects, ” he added.